100th release by IRL (Independent Records Ltd.) celebrating their first 15 years and taking a fresh look at their extensive back catalogue which includes Tinariwen, Justin Adams, Juldeh Camara, Lo’Jo, Malawi Mouse Boys and many more. The remix project has been curated by Nick ‘Dubulah’ Page (Dub Colossus, Syriana, Xáos) who assembled a stellar team of remixers, featuring Transglobal Underground, Afriqoui, The Dhol Foundation, Penguin Cafe Orchestra, Bernard O’Neill amongst others. ‘Terraforming In Analogue Space’ is a journey through time, putting what can be often described as a very ‘basic’ sound (especially with the field recordings) and mixing it with dance, dub, reggae, drum'n'bass, trance and ambient genres. The double album also includes the original versions. IRL may be judged as one of Britain’s great world music labels, but has never enjoyed the recognition awarded to other such record companies, partly because that’s the way IRL wanted it to be. Formed by three managers in the late 90’s, the whole point was not to have a star label, to make it inconspicuous and be able to release great, real, genuine music of all genres. Having worked with Sinead O’Connor, Republica, Mike Scott, Beth Orton, The Wonder Stuff, Sharon Shannon, Sunhouse, Justin Adams and Damien Dempsey to name but a few, the trio set up the label from their offices in London and Dublin. The first key figure to bring new music and ideas to IRL was producer and guitar hero Justin Adams, now best-known for his work in Robert Plant’s band, the Sensational Space Shifters. 'Desert Road' was an inventive, low-budget DIY affair that reflected Adams’ growing fascination with the blues, African and Arabic styles, and it led on to his collaborations with Juldeh Camara and to a series of classic early IRL releases. As a producer, Justin had worked with Lo’Jo, who mix French chanson with North African influences. It was Lo’Jo who took him on his first trip to Mali, resulting in the release of the 2001 Tinariwen album, 'The Radio Tisdas Sessions', produced by Justin and Lo’Jo. “Looking at the track listing for this collection, I felt I could see a pattern that wasn't evident at the outset. In post- punk London a few disparate souls seemed to be moving in a similar direction . 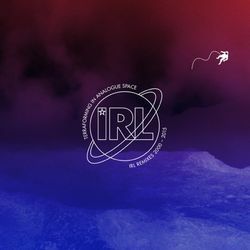 IRL released the classic 2003 album 'The Festival In The Desert', recorded out in the Sahara in northern Mali and featuring such Malian heroes as Tinariwen, Oumou Sangaré and the late Ali Farka Touré, as well as music from Lo’Jo and Justin, who was performing at the festival with Robert Plant. Grammy award-winning producer Ian Brennan, who specializes in field recordings of artists with memorable histories and back-stories, introduced the label to the Malawi Mouse Boys, the gospel-influenced group who had made a living by selling rodent kebabs to travellers in southern Africa, as well as the blind singer General Paolino from Africa’s newest nation, South Sudan, and the mbira band Acholi Machon from Uganda. Another key figure in the IRL story is Dubulah who has had a long history as an experimental pioneer of the world/ fusion scene, but only joined the IRL roster in 2014, when his band Dub Colossus released the dub and funk-heavy 'Addis To Omega', a rumbling, rambling set that matched exuberant playing with angry political lyrics. He was back in 2015 with a very different band, Xáos, in which he was joined by the Greek electronic composer Ahetas Jimi and a group of traditional musicians, in a project that set out to give Greece a new musical identity by mixing ancient and contemporary styles. An ideal IRL experimental release. For their 100th release since forming in 2000, Independent Records Ltd. had wanted to release a special album that praises and celebrates much of their world music catalogue from the past 15 years. It was Dubulah who suggested a remix album - the label jumped at the chance. Two of the Lo’Jo tracks were re-mixed by Bernard O’Neill, who has worked with Nick on Dub Colossus and other projects, and appears here under his own name and as Syriana.